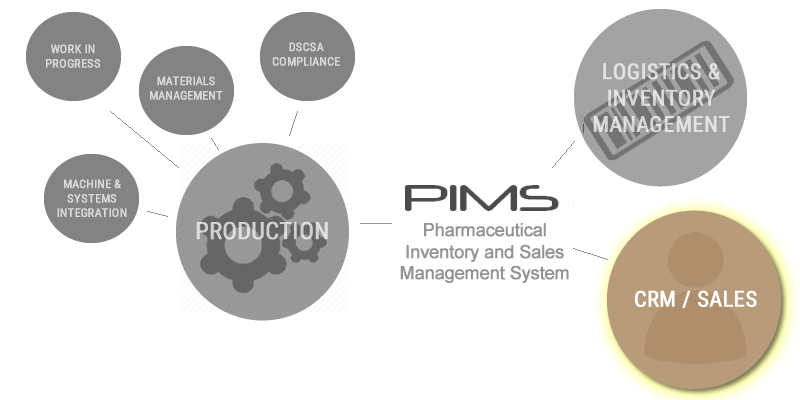 Is your Inventory and Sales DSCSA/DQSA Compliant? and chargeback processing get you in trouble. DQSA Compliant Fulfillment, Sales, Invoicing and Chargeback. We Can Help. PIMS supports the Drug Quality & Security Act (DSQA) requirements including automated communications with all major retailers like WalMart, Target, Walgreens, CVS, and wholesalers like McKesson, AmerisourceBergen and Cardinal. PIMS also supports communications with small mom and pop pharmacies. This includes purchase orders, invoicing and advanced shipment notice, and chargeback processing and response. PIMS’ contracts module supports GPO membership, contract fee calculations and commissions based on EDI 850 and EDI 844 sales.